Jodie Whittaker is the 13th Doctor! Jodie Whittaker was announced as Doctor Who’s 13th incarnation of the Time Lord – and she the first woman to have the role. Her role as the new Doctor was revealed in a special Who trailer broadcast on BBC One after the end of the Wimbledon men’s singles final. 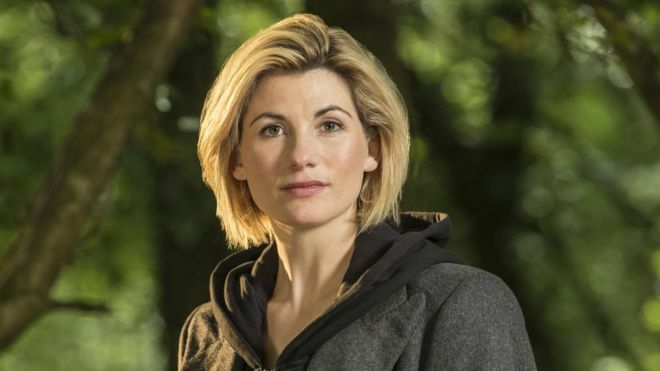 Broadchurch star Jodie Whittaker takes over from Peter Capaldi, who became the Doctor in 2013 and departs from the programme in this year’s Christmas special. Jodie Whittaker, 35, will make her debut in the show at Christmas! 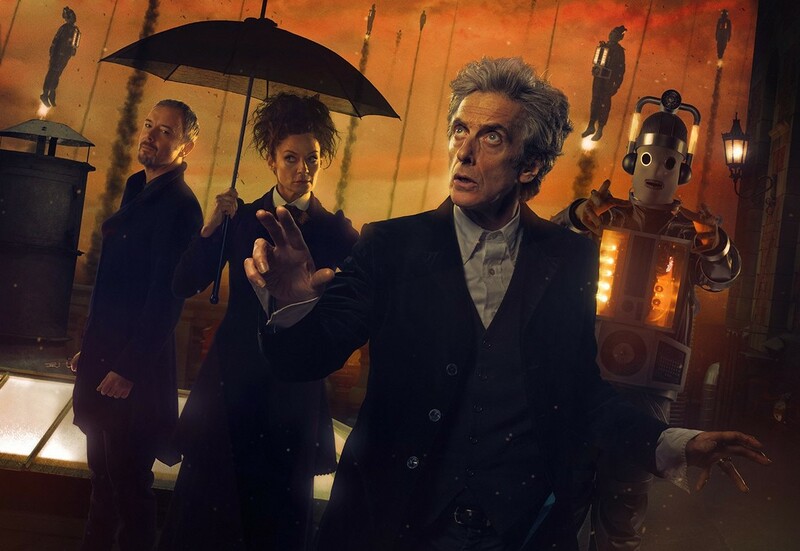 The Doctor Falls, written by show runner Steven Moffat, and helmed once again by the director of the penultimate episode of 2017’s tenth series World Enough and Time, Rachael Talalay (Dark Water / Death in Heaven (2014), Heaven Sent and Hell Bent (2015), is a series finale of truly epic proportions that pits the Doctor against a trio of his most deadliest enemies – The Master, Missy, and the Mondasian Cybermen! The end of days is coming for the 12th Doctor. Following the ominously scene-setting pre-title moments, we flashback to events that reveal how the shuttle reached the solar farm after the Doctor and his friends became trapped on board a huge colony spaceship caught precariously in the gravity well of a black hole. Having discovered that Bill has been transformed into a Mondasian Cybermen the Doctor must devise a way escape from the hellish hospital rooftop as the two incarnations of his arch nemesis Missy and the Master dance amidst the twisted maelstrom of chaos they have wrought as the Cybermen rise to challenge them all! 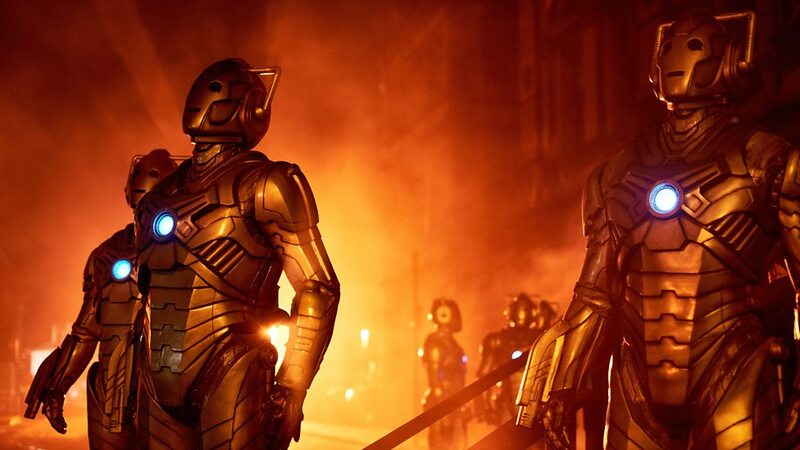 But the whole city is now a machine to turn people into Cybermen and its not long before the Doctor reveals how he’s already managed to turn the tables on the Master and Missy; altering the parameters of the Cybermen’s programming so that the Time Lord’s become targets as well as the humans. 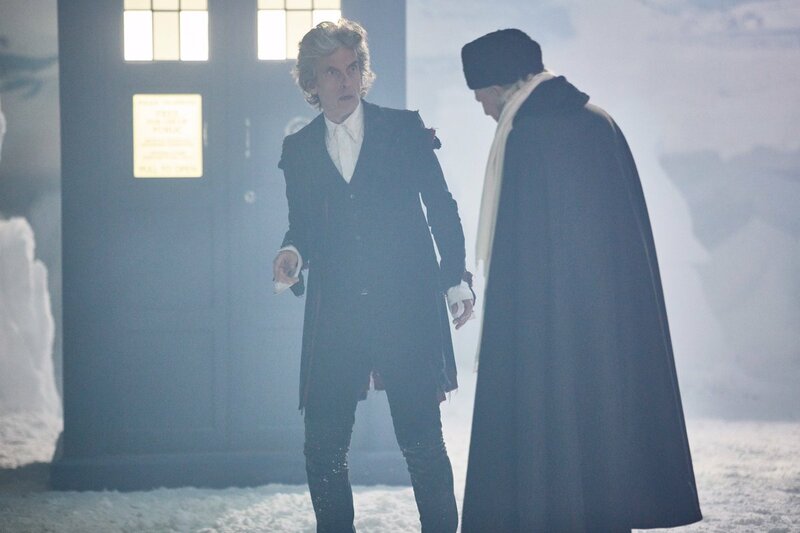 However, even when Missy knocks out the Master in a bid to help, the Doctor remains unsure which side she is on as Nardole returns with a shuttle. In the rush to escape from the rooftop the Doctor suffers an electric shock from a Cyberman, fortunately Cyber-Bill rescues him and they escape in the shuttle to a higher level of the gigantic spaceship. Peter Capaldi is utterly magnificent here as the 12th Doctor faces his darkest of days, John Simm and Michelle Gomez are also a delight to behold as their waltz of evil unfolds, and the electrifying chemistry between this opposing trinity Time Lord’s as they clash makes for compelling viewing throughout this episode. Bill Pott’s must also grapple with the tragic reality of her Cyber-Conversion, heartbreakingly played by Pearl Mackie, especially when Bill tells the Doctor that she doesn’t want to live like this is she can’t be herself anymore. While the build up to the finale in World Enough and Time was dark and claustrophobic, The Doctor Falls strikes a markedly different in tone once the action shifts to floor 507 as the apocalyptic uprising of the Cybermen at the hospital gives way to gnarled forests, farmland, and rolling hills. The scenes at the solar farm where our alternating viewpoint between Bill’s human perception of herself and her actual Cyber-self, is heartrendingly portrayed as the Doctor explains to her how her inner strength – from dealing with the Monks mass delusion earlier in series ten – has enabled her to create a perception filter in her mind to cope with the horror of becoming a Mondasian Cyberman, and it’s this visual dynamic of Cyber-Bill that is continually used to great effect across the rest of the episode. Of course the time here has allowed the Doctor a brief respite to recover from being electrocuted, but he’s also exhibiting the early signs of his regeneration which he tellingly hides from Bill. Matt Lucas continues to shine in his role as Nardole, proving his worth and loyalty in more ways than one, with the character once again playing a surpassingly key role in the action. Right from the stark openness of this episodes pre-titles sequence, The Doctor Falls is without doubt Steven Moffat’s most ambitious script ever. Its an impressively bold and exciting hour-long series finale, brilliantly directed by Rachael Talalay, the epic scale, big action set-pieces, hints of romance, and sweeping revelations ensures the extraordinary pace of this episode hardly lets up for a moment. The Doctor has a plan of his own worked out as he battles to save a group of humans on the solar farm led by Hazran (Samantha Spiro), along with Alit (Briana Shann), Gazron (Rosie Boore), and Bexhill (Simon Coombs), whilst single-handedly attempting to hold off an army of Cybermen and perhaps most devastatingly – his own regeneration! 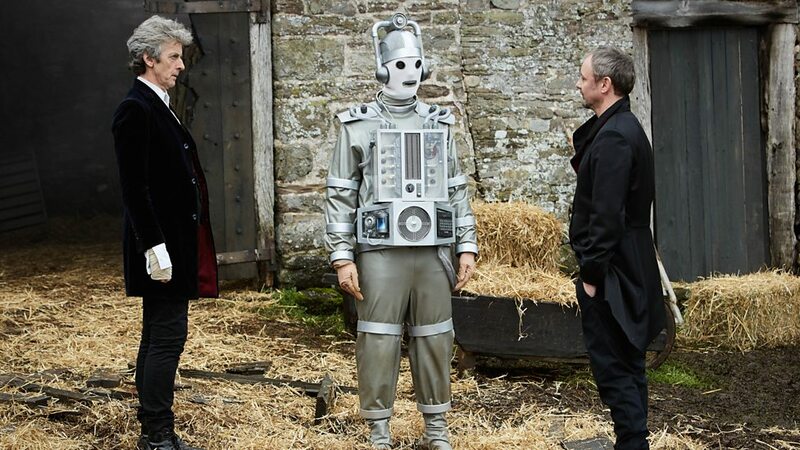 Following their impromptu genesis of sorts in World Enough and Time, the original Mondasian Cybermen are back in force in The Doctor Falls, having been diligently remodelled for their impressive return to the series. The Mondasian Cybermen originally made their debut back in The Tenth Planet (1966), which starred William Hartnell as the 1st Doctor, it was written by Kit Pedler and Gerry Davis, and directed by Derek Martinus, and as well as heralding the Cybermen’s first appearance this classic story also featured the Doctor’s first ever regeneration. 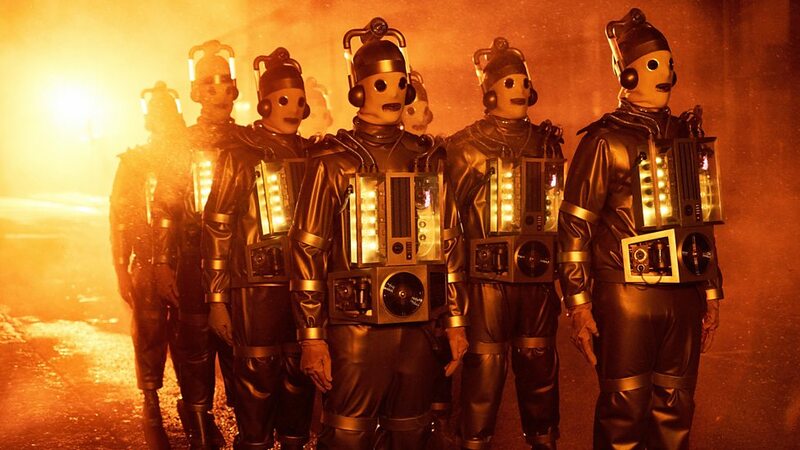 Now the Mondasian Cybermen are back in The Doctor Falls, and this time they are appearing alongside their modern counterparts from the 10th and 11th Doctor‘s eras as well! It goes without saying that the Cyber-Set-Pieces in this episode are an exciting fan pleasing spectacle in their own right, but it is Bill’s plight as a fully converted Mondasian Cyberman that really strikes a cord. 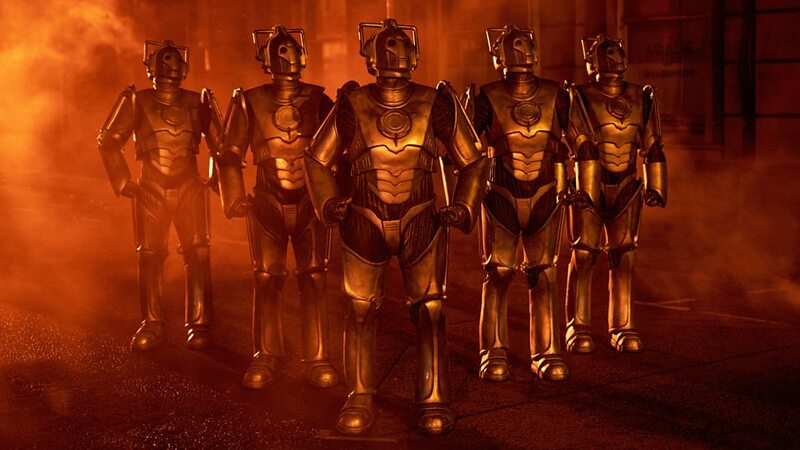 This is as exciting a Cyberman episode I think I’ve ever seen in the modern series, and the Mondasian Cybermen’s return now brings the Cybermen’s journey full circle amongst the elite pantheon of Doctor Who’s most successful recurring monsters. With the Cybermen flying through the levels of the ship to reach them and any hope of returning to the TARDIS on the bridge now a mathematical impossibility, the Doctor intends to use a camouflaged lift in the nearby forest to evacuate the humans to safety on another floor. The 12th Doctor’s disdain as Missy and the Master refuse to stand with him against the Cybermen is almost palpable, as they are all forced to face some unsettling home truths, and the exchanges between them here is electrifying to behold. As they leave the Doctor to his fate, with Cyber-Bill at his side while Nardole reluctantly leads the humans away along their escape route, and it is here that the Doctor prepares to stand his ground as the combined forces of the Cybermen close in. 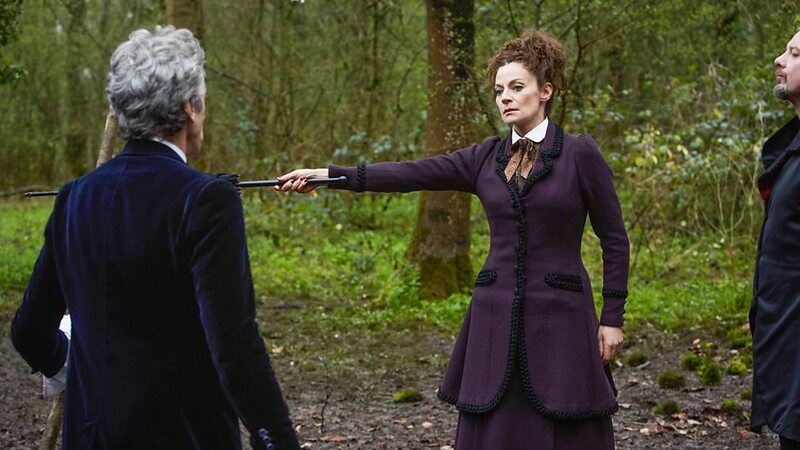 Michelle Gomez is fabulously wicked as Missy in The Doctor Falls, especially now that she’s teamed up with John Simm as the earlier incarnation of The Master, and as they abandon the Doctor to return to the Master’s TARDIS it seems Missy has indeed returned to the path of evil. 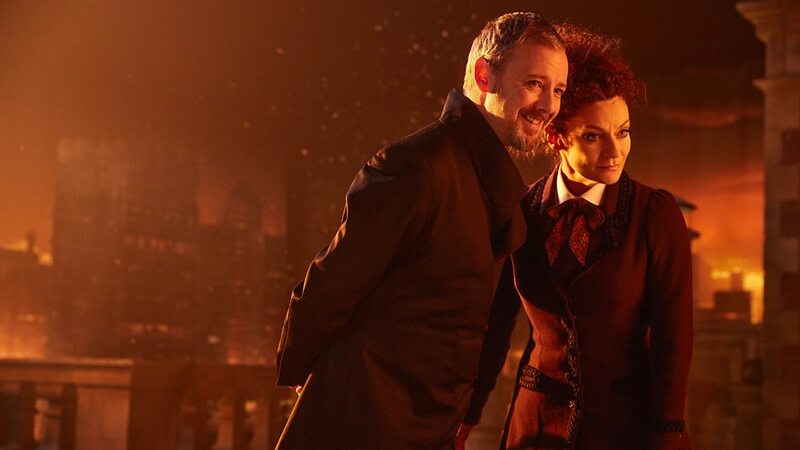 The warped chemistry between the Master and Missy is superbly played by Simm and Gomez, yet their characters dark union ultimately sees Missy have a change of hearts (s), and true to their nature they end up – quite literally – stabbing each other in the back. I’ve really enjoyed Michelle Gomez’s portrayal of Missy, she’s brought a fresh new dynamic to the Doctor’s arch enemy, her team-up with the Simm incarnation of the Master has been great fun, and Missy’s demise in this episode provides a fittingly ambiguous final end to the renegade’s time in the 12th Doctor’s era. There are far too many to mention, but along with the obligatory mention of jelly babies, as you’d expect with any series finale there are also a number of references to Doctor Who’s previous series. Missy mentions she knows the Doctor has fallen before, because it was when the 4th Doctor plummeted from a radio telescope in Logopolis (1981). The Doctor Falls also features a pre-regeneration sequence were the Doctor sees images of his past companions and friends, something which also happened to the Doctor in Logopolis, and the cloister bell which tolls after the 12th Doctor forcefully holds back his regeneration was also first heard back in Logopilis when it was explained to be a warning of imminent catastrophe and a call to man the battle stations. There’s a great mash-up of the 4th Doctor’s comment to Harry from Robot “You may be a Doctor, but I am the Doctor. The definitive article you might say”, and the 1st Doctor’s ( played by Richard Hurndall) comments to Tegan “As it happens, I am the Doctor, the original you might say.“ from The Five Doctors (1983), during the final scenes of The Doctor Falls with the line “You may be a Doctor, but I am the Doctor… The original you might say.” There are lots references to past Cybermen stories as well to look out for relating back to events on other worlds, including name checks for Mondas from The 10th Planet (1966), Telos from Tomb of the Cybermen (1967), Planet 14 mentioned by the Cyber-Planner in Invasion (1968), Voga from Revenge of the Cybermen 1975), Canary Warf in Army of Ghosts / Doomsday (2006), and the Moon from The Moonbase (1967). 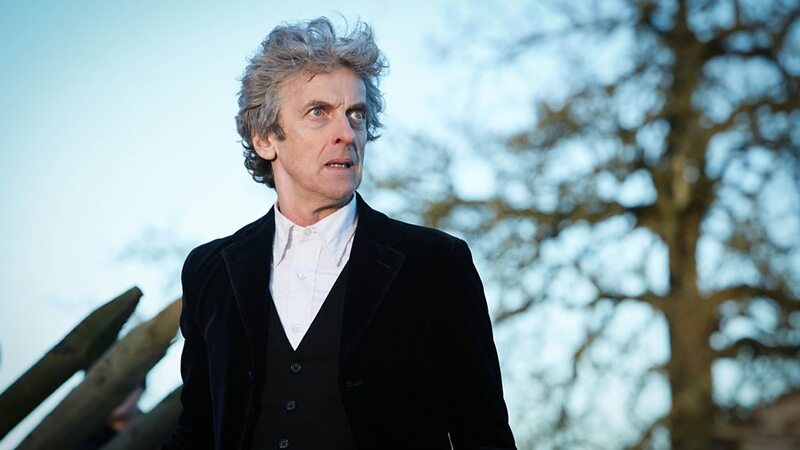 Capaldi’s Doctor also echoes the 10th Doctor’s finale words “I don’t want to go” from The End of Time Part 2 (2010) as he faces the prospect of his own regeneration. The final battle in the forest between the Doctor and the Cybermen is explosive, violent, and potentially fatal for the Time Lord as he eventually succumbs to the overwhelming odds and firepower stacked against him. In the last moments of the battle as the Doctor detonates the pipes in this levels infrastructure, the resulting explosion kills all the Cybermen, but the Doctor is also mortally wounded as a result. Cyber-Bill arrives, distraught at the Doctor’s apparent demise, she weeps, and her tears suddenly summon Heather (the sentient water based life-form Bill fell for in the series 10 premier The Pilot). It transpires Heather left Bill her tears behind and it formed a connection between them. Heather restores Bill back to her human form and they set out to explore the universe together, but before she goes Bill says goodbye to the unconscious Doctor resting inside the TARDIS, leaving her own tear behind before she departs. Although some might find Bill’s fate a little contentious, I though it was handled really well, and gave the character a good sense of closure. Of course, it’s the closing moments of the Doctor Falls, as the Time Lord angrily refuses to regenerate, that events bookend with World Enough and Time’s astonishing pre-titles sequence where the Doctor kneels in front of the TARDIS about to regenerate, only for his regeneration to be delayed again before the surprise arrival of the 1st Doctor, played by David Bradley, reprising his role from An Adventuree in Space and Time (2013) where he starred as William Hartnell in a dramatization of the early years of Doctor Who in the 1960’s. It’s a terrific moment, one that also brings with it heaps of nostalgia as well for good measure, and it certainly rounds off The Doctor Falls in fine style. Now with the end of Moffat’s era and Capaldi’s tenure rapidly approaching, The Doctor Falls has paved the way for the 12th Doctor’s departure, and engineered a thrilling lead-in to the 2017 Christmas Special in the most spectacular way imaginable as Peter Capaldi’s incarnation gets set to teams-up with David Bradley as William Hartnell’s 1st Doctor for one last adventure before the impending regeneration of Peter Capaldi’s Doctor draws near…. Enter your email address to follow SciFi Jubilee and receive notifications of new posts by email. Star Wars Episode IX The Rise of Skywalker Teaser Trailer Released! New Avengers: Endgame Official Trailer! New X-Men Dark Phoenix Official Trailer Released! Spider-Man Far From Home Teaser Trailer Released! New Star Wars The Last Jedi Trailer! Writer / Blogger / Sci Fi geek, fan of Doctor Who, The Walking Dead, Movies, Comic Books, and all things Playstation 4.